December is another month with 31 days. You know what that means, right? 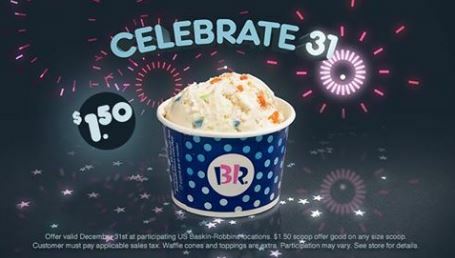 On Thursday, December 31st, you can get a scoop of ice cream for only $1.50! (Waffle cones and toppings are extra). Next post: Amazon: Deeply Discounted Thomas & Friends Toys!